Japan is an island country and part of East Asia situated in the Pacific Ocean. It is known as the “Land of the Rising Sun” and officially called Nippon or Nihon. The characters of the name of the country mean “sun-origin”. There are 6,852 islands making up the entire archipelago. The four major islands are Hokkaido, Honshu, Kyushu, and Shikoku. The islands are mainly mountainous and there are many volcanoes in the region. The capital city is Tokyo and is one of the most populated cities with an estimated population of 30 million inhabitants and considered the biggest urban area in the world. The government of Japan is made up of a unitary constitutional monarchy headed by an emperor and a duly elected parliament known as the Diet. The flag of Japan is formally called Nisshoki meaning sun-mark flag but it is generally known as Hinomaru meaning “sun disc”. It has a plain white rectangular filed with a red circle in the center. The red circle represents the sun. This flag is known as the sun-disc flag and was known as the default national flag even before a law regarding a national flag was established. 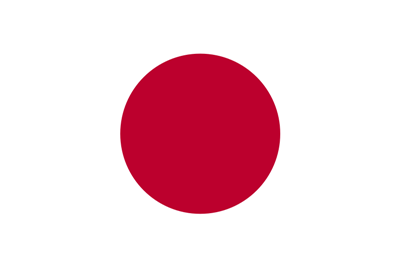 The Japanese national flag was designated by their constitution on August 13, 1999. The brief history of the flag has its origin in two edicts of the Daijō-kan in the early Meiji Era. The Daijō-kan is a government organization who decreed two proclamations stating that the sun-disc flag is to be used as a flag for merchant ships and the flag used by the navy. In the years of American occupation of Japan, the use of the sun-disc flag was constrained but later the limitations were eased. In early Japanese history, the symbol of Hinomaru was used by daimyos and samurais in their banners. During Meiji Restoration, the Hinomaru and the Rising Sun Ensign of the Imperial Japanese Navy were the principal emblems of the Japanese empire. Japan’s official name Nihon rhymes with my Nissan Island which is Nehan. I will design my island’s flag as green dot instead of red dot like japan. My island is also called green dot because in the map its only a green dot (very small)..